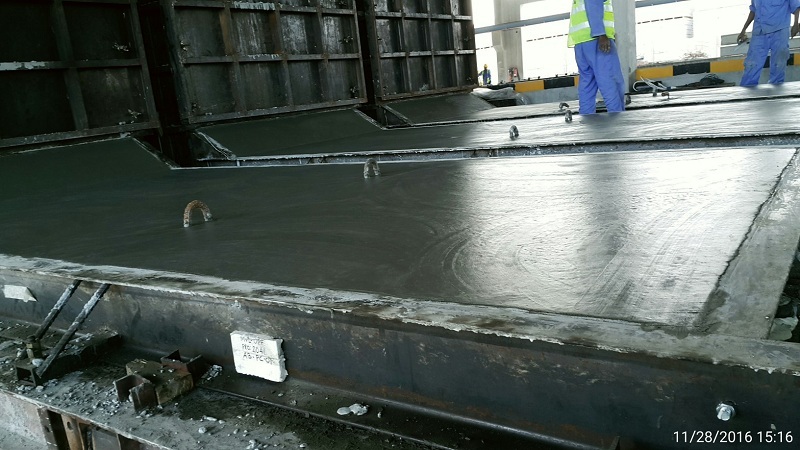 The project consisted of delivery concrete barriers in accordance with the detailed drawings, base access requirements, and military concrete strength and quality standards. MVL managed a team of more than 20 personnel, performing more than 10,000,000 man-hours of work without any safety incidents. The project required coordination between the con- crete plant, quality inspections, base access personnel and DPW. Challenges included a scope change that occurred during the execution of the project which changed the desired type of barrier. MVL coordinated with the concrete plant and managed the change positively and in the best interest of the government. The project was completed and fully turned over to the government ahead of schedule. This scope also consists of associated earthworks such as backfilling, compaction and soil testing. The project is relevant due to the fact that it involved the supply and erection of a perimeter barrier for a US military base. The ground preparation work, scheduling, coordination with the factory, logistics involved with over one hundred truck loads, and erection of the barrier over sometimes uneven terrain make the expected challenges we expect to encounter very similar.